But why is typography so important? Remember what happened at the Oscars 2017, when they gave the Best Picture award to the wrong film? Typography is to blame for that huge mess. As the creative strategist Benjamin Bannister points out, a simple change in the font and the designcould have helped avoid such an embarrassing incident. Before downloading and using these fonts, you need to be aware of the rules. Just because it’s free doesn’t mean you get to do whatever you want with these fonts. Most of the free fonts available on the web come with limited licenses, which means you can only use them with personal projects. However, there are sites that offer free fonts with commercial licenses. Just be sure to check the license for each font you download before using them with your projects. 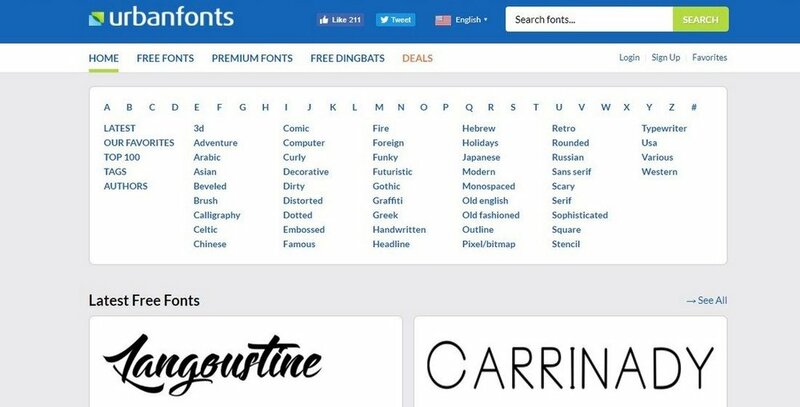 You can also download premium fonts for free. Popular marketplaces, such as Creative Market and Envato Market give out free goodies every month to its registered users. It’s a great way to grab premium fonts without spending any money.